Purpose: to acknowledge client’s grief and sensitivity throughout the process of euthanasia while educating them on the entire process, including what to expect if witnessing the euthanasia. Clients will be directed to the exam room right away with a towel or blanket situated under their pet so they may lie comfortably. Intravenous catheters may be placed in patients who are: fractious, have labored breathing or if the owner wishes to be present during the euthanasia process. 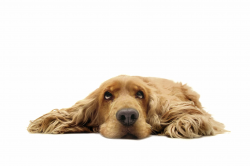 If the pet is fractious, stressed, or even if the client requests it, the doctor or technician may give the patient some sedation to ensure a calm experience for the pet. Clients will be educated on the process of euthanasia; including what may occur during the procedure and what options they have with the remains of the deceased. If grief counseling is required, certain crematory services are trained in counseling and we can offer those brochures as needed. Pet Remains: If the pet is placed in “hold” for private cremation, a pet can only be held for 5 days due to the lack of space in storage. Extensions are permissible per owners request and owners may take their pets home if they wish to do so at a later date (within the 5 day period).